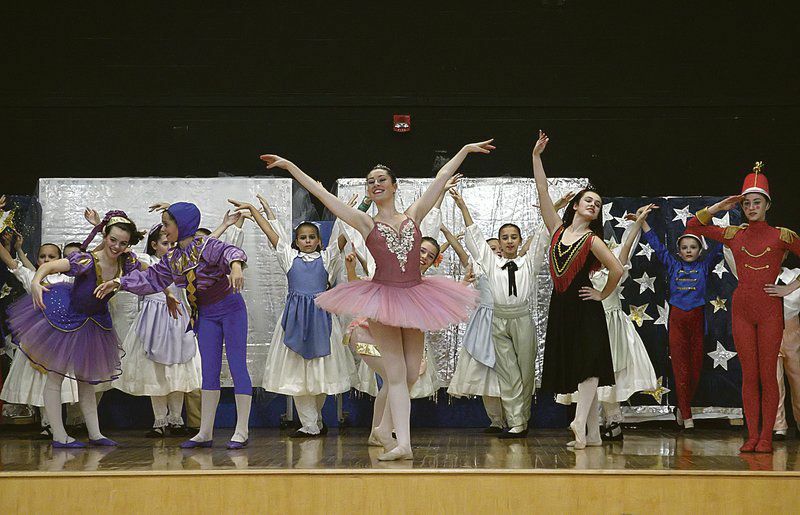 Every year for 31 years, Oneonta’s Fokine Ballet Company takes on the classic. Prior to the full stage performance at Goodrich Theatre at SUNY Oneonta, the company tours an abridged version at local schools. Donna Decker, director of the Fokine Ballet Company and owner of Decker Dance Academy, chooses three different schools every year to perform at as a way of introducing students to ballet. Last year, the production visited Oneonta’s elementary schools. This year, the company visited area pre-schools. Their last stop was Springbrook’s Kids Unlimited Preschool in the former St. Mary’s School in Oneonta, where attendants of the Capstone Day Habilitation Center also joined to watch. The auditorium was noisy with expectancy, but when the music started and dancers began their routine on stage, the room quieted down. Decker said she “loved the wonder in their eyes” as a ballerina floats on stage in a tutu in front of the audience. For many of the attendees, this is their first time watching ballet. The pared down performance has 22 instead of 60 dancers and is cut from its 90-minute run time to about 20 minutes. The famous dances — The Dance of the Sugar Plum Fairy, the dancing toys and the fight over the Nutcracker — remained. Dancers in the performance ranged in age from nine to 16, but the full production will have professional dancers in the lead roles. Fifteen-year-old Sadie Tucker, who is playing the sugar plum in the abridged production, said this is her ninth time being in the ballet. She said she loved the smaller performances in a different way than she does the larger production. Bella Marino, a 4-year-old who sat in the front row, said it was her first time, but she’d like to see it again. “Daddy’s going to sign me up for dancing,” she exclaimed.